FlySight is not your mother's GPS. 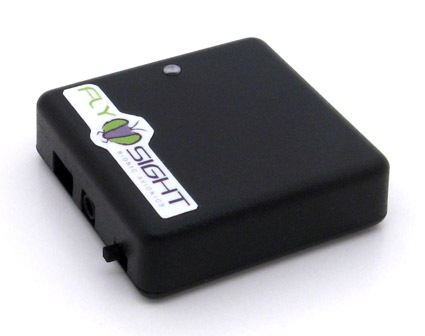 FlySight provides real-time audible indication of glide ratio, horizontal or vertical speed. If you've used other GPS receivers, you know the drill. When you land, you review data from the jump. If you're lucky, or if you've planned a very simple jump, you might remember what you were doing when your glide ratio maxed out. On the next jump, you try to do it again. FlySight speeds the learning process. When you change your body position, you instantly hear a change in the tone. Your brain easily connects this feedback with your precise body position, making it astonishingly easy to remember what worked and what didn't. © 2010-2015 Bionic Avionics Inc.